AUSTRALIA’S national science agency CSIRO and rural technology start-up Digital Agriculture Services have launched a new software platform that combines artificial intelligence, machine learning and cloud-based geospatial technology to deliver reliable, independent and robust farm data and analytics. The project’s backers claim that the Rural Intelligence Platform is the first software to comprehensively assess and monitor rural land anywhere in Australia, drawing on information from trusted data sources on productivity, water access, yield, land use, crop type, rainfall, drought impact and more. “The platform brings together in one place and refines a range of technologies developed by CSIRO in order to provide a picture of what has happened on a property over the years as well as the current situation,” CSIRO agriculture and food deputy director, Dr Michael Robertson said. The platform uses satellite imagery to track paddocks and their performance over time. Information from Australia’s digital soil map is incorporated and climate information interpreted to show drought, frost, heat stress for livestock and other risks. The Rural Intelligence Platform would help the agribusiness community calculate the risks associated with certain investments or management decisions, Dr Robertson said. “The platform provides accurate information that can help to identify vulnerability or the most promising options for investment that will build resilience,” Dr Robertson said. The Rural Intelligence Platform analyses data from a range of sources using machine learning algorithms to make sense of the data with a clarity that wasn’t possible before. The platform incorporates an AI-initiated Automated Valuation Model that is capable of valuing rural properties instantly with up to 90 percent accuracy. Previously this was only possible for residential properties, where there are a wide range of valuation and analytic tools for real estate. Since it was established in partnership with CSIRO in 2017, Melbourne-based DAS has secured $4.25 million in funding from founding equity and R&D partner CSIRO, Australian ASX-listed agribusiness Ruralco and private investors. 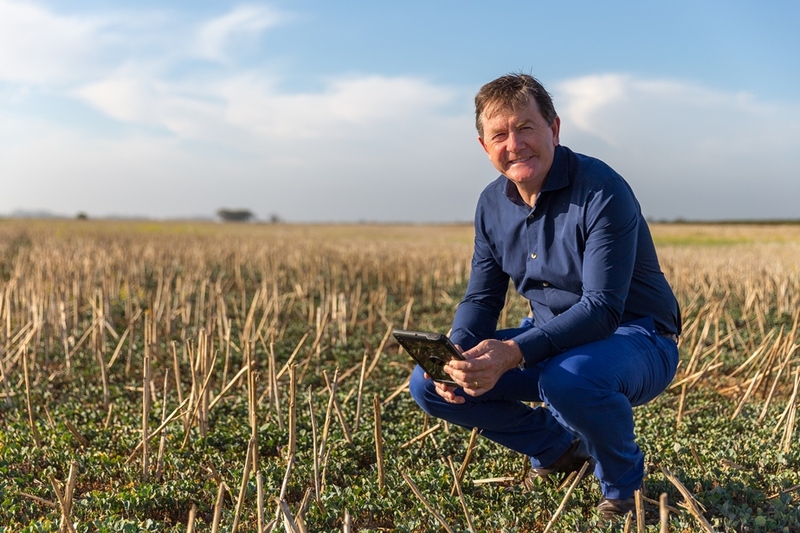 “Digital agriculture is far more than just on-farm technology – it’s also about improving off-farm decision making and this platform lays the foundation for Australia to become a leader in new generation agricultural analytics,” DAS chief executive Anthony Willmott said.